My understanding is that Jane Fonda will express regrets over some of her Vietnam era activities tonight on 60 minutes. Click here for my earlier post comparing Jane Fonda to Axis Sally. 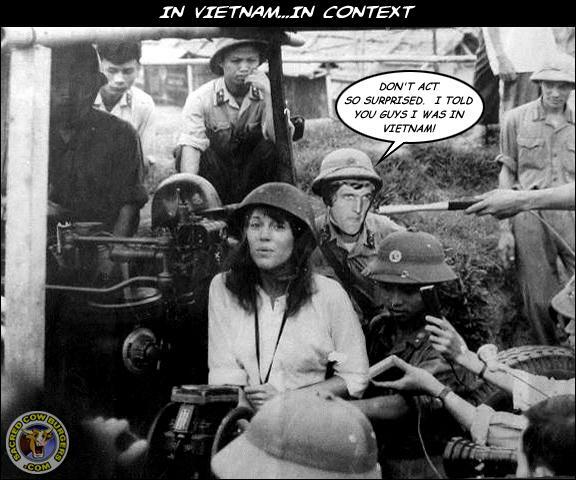 Compare the crimes of Axis Sally with the crimes of Jane Fonda. Remember that Jane Fonda probably did more than 60 minutes will ask her about. Remember also that Axis Sally went to jail for 12 years.